According to the Bible, Moses came upon a burning bush. In that moment, the voice of God spoke to Moses and said, "You must go and free the slaves of Israel." When Moses asked, "Who shall I say sent me?" The voice of God replied, "I AM That I AM. You shall say unto the children of Israel that I AM has sent you." Who is this great "I AM" that spoke to Moses? The "I AM" is everything and anything that has ever existed and shall ever exist. It is the sum of all of creation, which can never be separate from All That Is. It is the Alpha AND the Omega. When you look at the phrase "I AM that I AM" there is a centering that occurs within your own consciousness simply when you observe that phrase. The "I AM" presence exists at the center of everything, because it surrounds the word "that" and this is what gives "that" the power to express itself in every possible way. We define what the "that" is through our own perceptions, creations, actualization, and expressions. The word 'that' is always at the center of I AM. 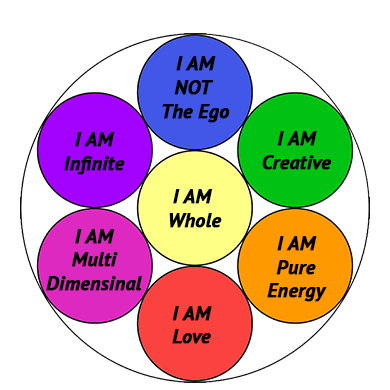 Whenever you define what "that" is, you are attaching a label to the "I AM" presence. You are giving "I AM" its creative energy to be expressed through you; however, you can never BE any label, because a label will always change. You can perceive, express, and experience any "that" you want, but you do not become any "that". You are always the "I AM", because the "I AM" presence is the only aspect that always remains the same. "I AM" is always your constant state of being. This is the eternal state of your consciousness. 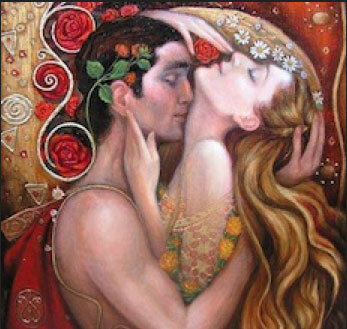 You exist as a vessel for perceiving, expressing, and experiencing creative energy. Anytime you activate the word "that" into whatever you want it to be, then this becomes your creation. You get to fill in that space of defining "that" to become whatever you want it to be. 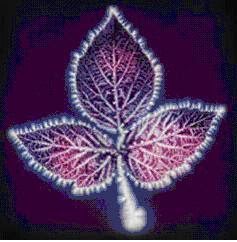 As a fractal of creation, you get to choose to experience and BE any label "that" you wish to be. Whenever you identify yourself with a certain emotion, such as when you say, "I AM sad", what you are essentially doing is putting your I AM infinite consciousness into a box and labeling yourself as being something that is confined to an energetic emotional expression. In actuality, you can never BE a feeling, because once that feeling passes, you will still exist. You would still exist whether you created the label as sad for yourself or not. When you say, "I AM happy" you are agreeing to experience the emotion called happiness, but once again, you are not merely an emotion called happiness. So who are you? What does it mean to identify yourself as having an I AM presence? The Secret of "I AM"
When you say “I AM,” you are announcing that you are a being of infinite, creative light. 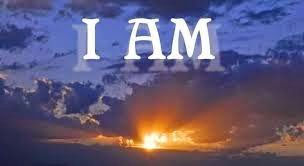 The "I AM" is spirit being expressed through you as you. You are one with spirit and the energy of spirit has the ability to transform into anything it can conceive and feel. The "I AM" can express itself as anything and everything. It is the expression of All That Is. You can never be separate from creation and you can also never be just one thing taken out of the body of creation. "I AM" always, always, always has the potential to BE ANYTHING and EVERYTHING. "I AM" is the only constant that there is. This means that in every moment you are living, as you inhale and exhale your next breath, you are creating yourself. You always hold the potential to proclaim and be anything you can conceive, perceive, or receive into your consciousness awareness. If you want to BE sad, you can have that experience of being sad, but you won't maintain that experience for very long, because it is just one vibration within the total body of creation. If you want to BE happy, you can have that experience of being happy, but you won't maintain that experience for very long either, because it is also just one vibration that can be experienced within the total body of creation. 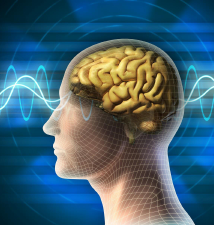 You can choose to experience more positive thoughts and feelings as opposed to harboring negative thoughts and feelings, and this will keep your vibration high if you choose this for yourself. You have the power to experience anything you want to, so if you know this and you can choose to BE happy instead of sad, then why not? You have the power to fill your life with any 'that" you choose to experience. When we look at nature and think about creation itself, we can see that it is always in a constant state of flux, always moving, bending, expanding, and growing. This is your true nature, so the key to discovering who you really are is to know that you are an infinite source of energy. You are the embodiment of every experience, expression, feeling, and moment in time that ever existed and can ever exist. This blueprint is already contained within you. "I AM THAT I AM" means that you are no less than the creator who created you. You are a fractal of the whole, and when you know this, you will know that these 7 Principles of I AM consciousness apply to you in the same way that this would apply to God or anytihng outside of yourself. You are the I AM and the I AM is you. 2. I AM Whole. I AM One.